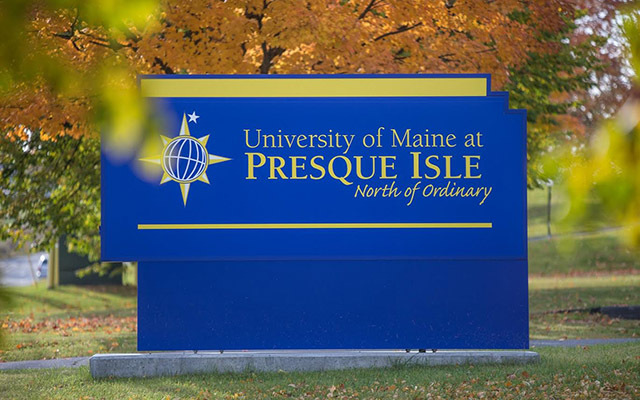 The Owl’s Nest in the Campus Center at the University of Maine at Presque Isle has a brand new look, and campus officials will celebrate with a grand re-opening and ribbon cutting on Thursday, Sept. 6, from 11:30 a.m. to 1:30 p.m.
PRESQUE ISLE, Maine — The Owl’s Nest in the Campus Center at the University of Maine at Presque Isle has a brand new look, and campus officials will celebrate with a grand re-opening and ribbon cutting on Thursday, Sept. 6, from 11:30 a.m. to 1:30 p.m.
All are invited to attend this free “open Nest” event, complete with coffee samples, live music, Campus Store coupons and surprises, including a selfie wall and modern, tech-forward furnishings. The Owl’s Nest has served as a gathering spot for students since the Campus Center opened in 1992. Over the years, the space has evolved.Most recently, a Starbucks counter opened in spring 2017. As part of the campus master plan, work was completed this summer to renovate the space, install new ceiling and floor tiles, update the lighting, apply a new paint scheme, better showcase the Starbucks counter, and install new furnishings. For more information, contact Lydia Kieffer-Till at lydia.kieffer@maine.edu or 207-768-9502.